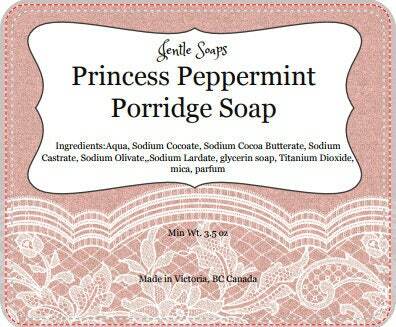 Princess Peppermint Porridge Soap is a beautiful and moisturizing bar of soap. 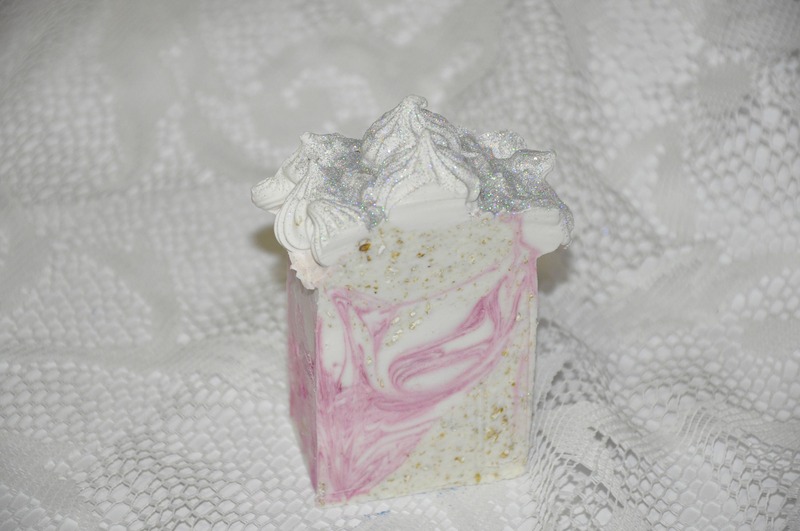 It smells divinely of peppermint essential oil yet is tempered by the addition of the aroma of cocoa butter and ground oatmeal. As you enjoy this bar of soap you will notice the slight and yet gentle exfoliating power of ground oatmeal. The soap feels to me like a nice rough sponge. 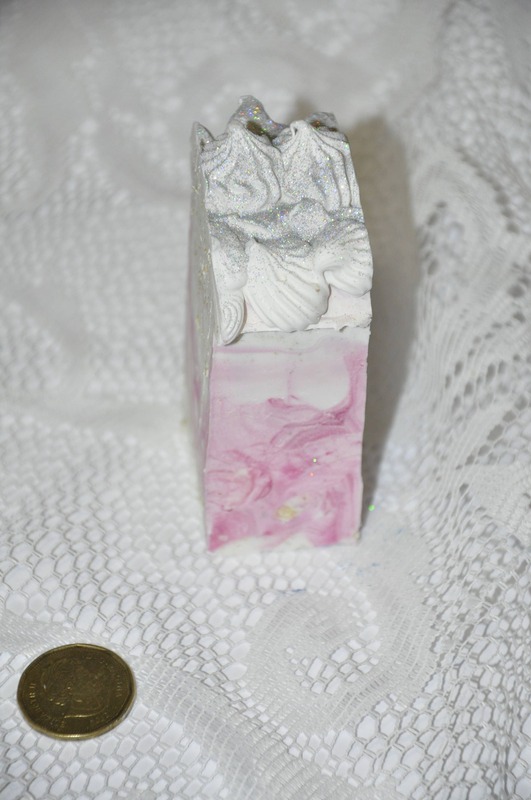 A pink and white soap lightly sprinkled with a crown of icing and glitter, this bar is sure to please visually. Thus the name Princess Peppermint. Lighter than a candy cane and refreshingly alerts the senses and cools the skin. This is a seasonal favorite.